The new Avengers: Endgame Special look Trailer has Marvel fans more hyped than ever, as it finally teases some of the major conflict in the film, as the remaining Avengers band together and take the fight to Thanos. The biggest reveal of this big “Avengers Assemble” theme in the new spot is that Tony Stark / Iron Man indeed makes it home to Earth, and is the one who inspires his team to get back up from defeat and battle again. After the first full Avengers: Endgame trailer, we’ve been handed a new 60 second snippet. In a nutshell, it’s one of the most telling sequences so far. As well as an emotional moment that sees Cap telling Iron Man that he trusts him (get the hankies ready), we see the surviving members of the Avengers preparing to face off against the Mad Titan for the first time since the devastating impact of the snap. “You could not live with your own failure,” Thanos tells the group. “And where did that bring you? Back to me.” We’re seriously not ready. 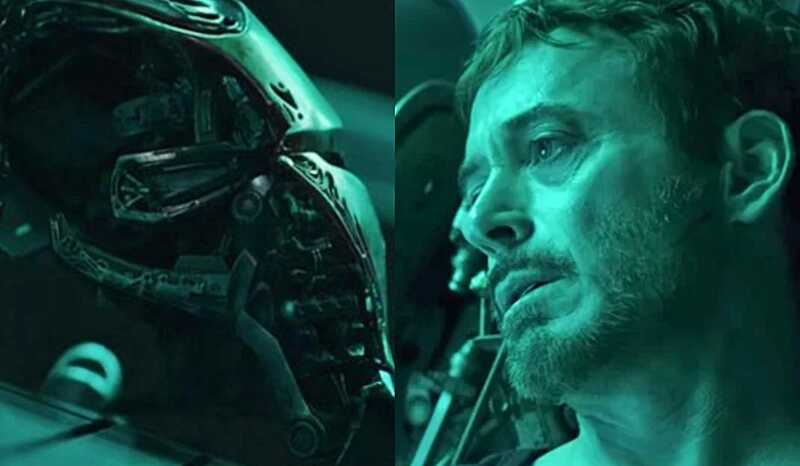 Also Read: Did The ‘Avengers: Endgame’ TV Spot Just Reveal How Iron Man Gets Saved? In addition, a host of new Endgame posters have been released (March 26) to mark one month to go until the film hits cinemas. After receiving our first glimpse at the film in December last year, a second snippet also aired during the Super Bowl in February 2019. It goes without saying that this pretty much answers a major mystery from the Avengers: Endgame Super Bowl spot – where the team is seen walking outside Avengers compound, to investigate something approaching from the sky – is the moment where Iron Man and Nebula return to Earth on the Guardians ship, The Benatar. The new footage also confirms another mystery of the Super Bowl spot – that it’s Gwyneth Paltrow’s Pepper Potts who was most likely edited out of the Super Bowl spot shot of the Avengers walking out of the compound together. The shot in this new trailer of Tony and Pepper hugging suggests she’s definitely on site at Avengers Compound when Tony gets home. This new Avengers: Endgame trailer torpedoes the theory that Tony Stark’s Iron Man sacrifice himself in space to save Nebula, and provide the team with a plan to beat Thanos. However, even with all of this now confirmed by this new trailer, there still may be a bit of misdirection happening on the part of the Russos. Also Read: Did Avengers: Endgame Super Bowl Tv Spot Show Hawkeye Collecting An ‘Infinity Stone’? We’ve already done some deep-dive breakdowns of the previous Avengers: Endgame trailers, as well as merchandise, which reveal that the film contains a major sequence where Thanos and his Outriders ambush Avengers Compound. The connected dots indicated that Thanos surprises the Avengers – quite possibly as they are loading up on a ship to take the fight to him. When the compound is overrun by the Outriders, Hawkeye seemingly sets off an explosion – and that blast, or some other destructive act – basically destroys Avengers Compound entirely. If you look closely enough, that series of events still syncs with what this new trailer shows: Thanos warps into the location where he’s facing The Avengers, which wouldn’t be needed if they were surprising him like the trailer indicates. The final scene of Iron Man, Thor, and Captain America approaching Thanos for a fight takes place in a setting that’s basically a pile of rubble, with Thanos’ armor looking damaged, and the helmet missing. If Hawkeye blows the base as is indicated, then Thanos would’ve been caught in the blast as well. More importantly, Thanos even having to use his ship’s warp system, fight with a bladed weapon, or taking damage form an explosion, all pretty much confirms a major spoiler from the Thanos Build-A-Bear: That the Mad Titan may no longer have the Infinity Gauntlet in his possession. Avengers: Infinity War is now available on home video, and Captain Marvel is now in theaters. Upcoming Marvel Cinematic Universe movies include Avengers: Endgame on April 26th, and Spider-Man: Far From Home on July 5th. “I trust that you will cut my spoiler slip on the show tonight. That was “off the record” homey. Please don’t get me in trouble with Marvel (Barry) again. DM me back”, he wrote in October 2018.